Editor’s Note: I will omit kickers and defenses from this list because, when it is all said and done, they are pretty much all equivalent. I wanted to try and avoid the “Big Three” quarterbacks: Manning, Brees, and Rodgers. 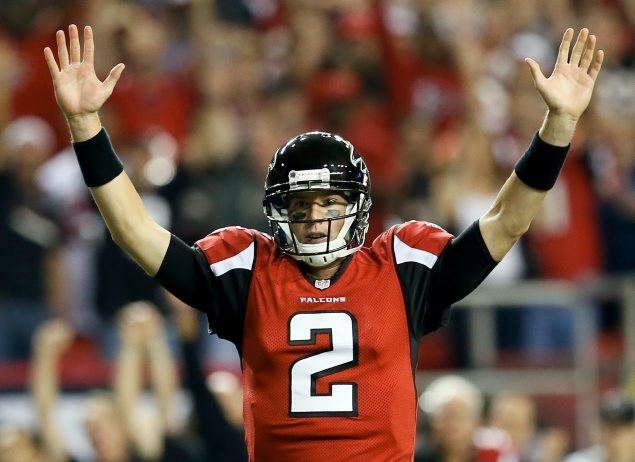 We know they are going to be spectacular and make up three of the top five fantasy quarterbacks in fantasy football. But which quarterbacks will take the other two spots in the top five? My vote is for Matt Ryan to take one of those spots. 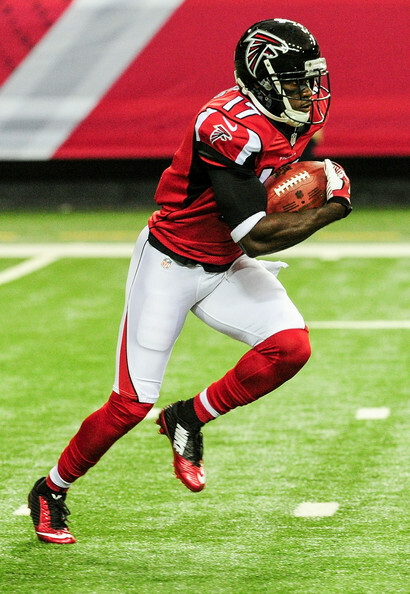 Without Julio Jones for most of the season and Roddy White in and out of the lineup for the majority of the year, Ryan managed to throw for more than 4,500 yards and 26 touchdowns. Ryan is currently being taken behind Matthew Stafford, Andrew Luck, Cam Newton, Nick Foles, Colin Kaepernick, Russell Wilson, and Robert Griffin III, and he is currently being taken in the ninth round on ESPN and the sixth round on Yahoo. If you don’t draft the “Big Three” I would wait for Matty Ice and by pass the aforementioned names. 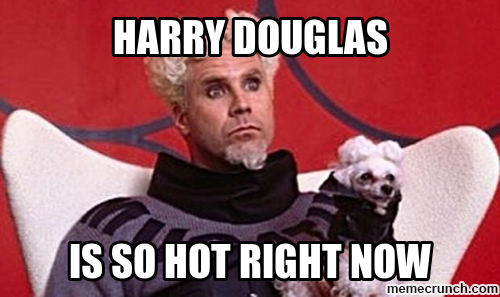 With a healthy Julio Jones and Roddy White coupled with an emerging Harry Douglas, Ryan should return to fantasy relevance. Think Matt Stafford with fewer interceptions. Foles took the league by storm last season throwing for 2,891 passing yards, 27 touchdowns, and only two interceptions. TWO INTERCEPTIONS! He is sure to regress in that department. In actuality, Foles’s absurd touchdown-to-interception ratio is the only reason he had any real fantasy value at all. He had four games in which he threw under 200 yards. He threw for less passing yards than Alex Smith, Chad Henne, and Geno Smith last season. Let me repeat that last part: Geno Smith threw for more yards than Foles. The Eagles are a rushing team first and foremost, which is exaggerated this season when you factor in their decision to trade DeSean Jackson (to the rival Redskins no less). 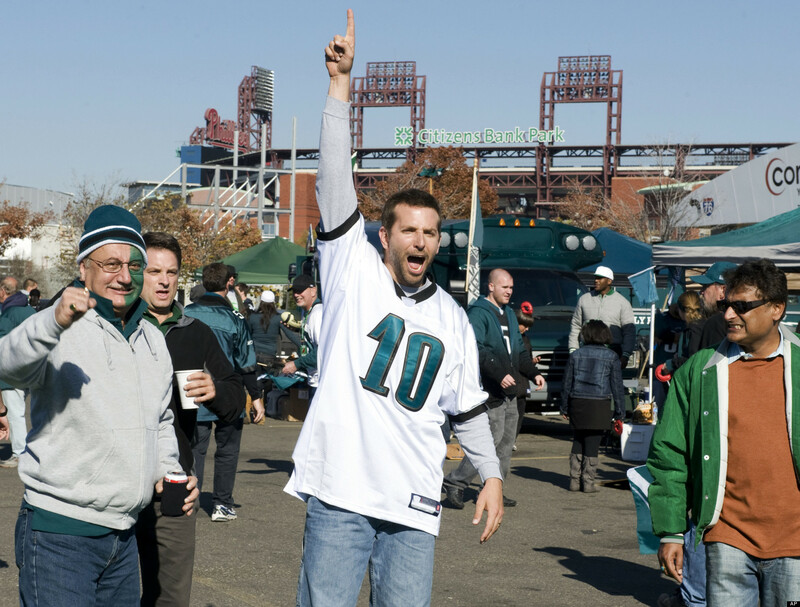 Foles looks more like a bye-week filler than a starting quarterback on a fantasy football playoff team. Tannehill is another player that falls on the list of “Players who Threw for More Passing Yards than Nick Foles.” He finished the year with 3,918 passing yards, tenth in the NFL, and 24 passing touchdowns. Tannehill also benefits from the addition of Bill Lazor as his new offensive coordinator. 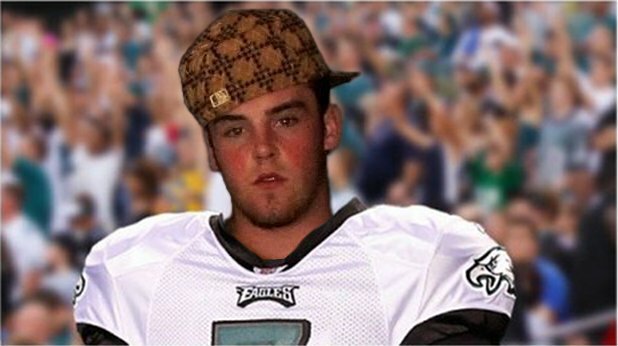 Lazor was the OC of the Philadelphia Eagles and…Nick Foles. Do you guys see where I’m going with this? Tannhill should have a breakout year this season, and while 27-2 touchdown-to-interception ratio will probably never happen, 25-10 is a very reasonable expectation for the third-year man out of Texas A&M. Ken Whisenhunt was the offensive coordinator for the San Diego Chargers last season. Philip Rivers, his starting quarterback, had a terrible season the year before. He finished the 2013 throwing for 3,606 yards, 26 touchdowns, and 15 interceptions. In 2014, under Whisenhunt, Rivers threw for 4,478 yards, 32 touchdowns, and 11 interceptions. Whisenhunt is now the head coach of the Tennessee Titans and his quarterback is Jake Locker. While Locker has never played at the level Rivers has been known for, he is still a 26 year old with all the QB tools in the toolbox. Locker has Kendall Wright, Nate Washington, up-and-comer Justin Hunter, and rookie running back Bishop Sankey to throw to. All signs point up for Locker and the Titans. Eddie Lacy deserves much more press then he has been receiving this off-season. He belongs in the conversation with Adrian Peterson, Jamaal Charles, LaSean McCoy, and Matt Forte. Last year, Lacy rushed for 1,178 yards and 11 touchdowns. Those numbers were good enough for eighth and third in the league, respectively. The Packers may have a passing offense, but Lacy is the only back in the backfield receiving major carries. James Starks is not a real threat to Lacy, especially in the red zone. It would not surprising if Lacy lead the league in rushing touchdowns this season. Lacy is as much of a sure thing at the running back position as you can find in this day and age. I was a huge Zack Stacy supporter last season. Jeff Fisher is a run-first coach and Stacy was surprisingly effective at Vanderbilt. However, the writing may be on the wall with this backfield. Tre Mason was drafted in the third round in this year’s draft, and Benny Cunningham is getting a lot of reps with the first team offense. If anything, Fisher may be using a “running back by committee” in order to see what type of players he has in his backfield. If that is the case, Stacy should not be drafted, under any circumstances. With Cunningham breathing down his neck and Mason waiting in the wings, Stacy is too much a risk to draft this year. Ben Tate has never played a full season in his NFL career. He also has a problem with holding onto the ball, having committed six fumbles throughout his three-year career. West may not be the starter Week 1, but he has enough skill to over take Tate for the starting spot. West is worth a flier, especially considering how big of a question mark Tate is. Running back is a crapshoot yet again this year. Fantasy owners are looking for any little bit in order to gain an edge in the running back category. Arian Foster only played in eight games last season, and he has yet to play a pre-season game. This makes Foster’s back up extremely vital to the Texans’ offense. Grimes and Blue are in a heated battle for the back up spot. Whoever wins this battle is sure to not only be actively involved in the Houston’s running attack while Foster is healthy, but will take over as the starter if (when) Foster gets injured. As Matthew Berry from ESPN stated, “During the second half of last season, only Josh Gordon had more fantasy points among wide receivers than Antonio Brown.” During that time frame, Jerricho Cotchery (10 touchdowns) and Emmanuel Sanders (6 TDs) were his teammates. All three of them served as Ben Roethlisberger’s top three targets. Both Sanders and Cotchery are no longer with the team, leaving Brown as the top man in Pittsburgh. Former third round pick Markus Wheaton, rookie Martavius Bryant, Derek Moye, and free agent additions Lance Moore and Darius Heyward-Bey are Brown’s only competition for targets. Brown is head and shoulders above the rest of his teammates, and while he may be the focal point of most defensive schemes, he should be able to flourish as Big Ben’s go-to receiver. Percy Harvin has only played ten games the past two years, and has only played in all sixteen games once in his career. Harvin is too fragile to be trusted. He also plays for one of the best running teams in the NFL. 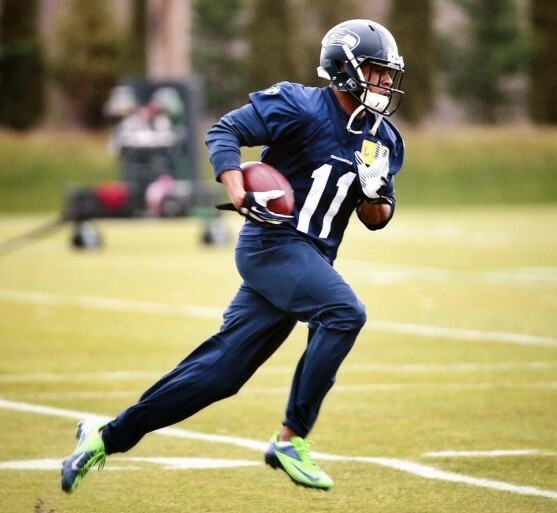 Doug Baldwin is entrenched as the number one wide out for Seattle, leaving Harvin as the “gadget guy.” There may not be enough offense for Harvin to truly matter in fantasy this year. 119 targets: that is how many Harry Douglas had for the Flacons last year. He was first on the team. Granted, Roddy White and Julio Jones were both hurt, but that number is far too big to ignore. In 2012, White lead the team with 143 targets, Jones finished second on the team with 129, and Tony Gonzalez finished third with 124. Gonzalez retired this past season, and with a lack of a good tight end option replacing him, Douglas should reap the benefits. With Cecil Shorts injured and Justin Blackmon suspended, Marquise Lee has looked like a star this pre-season. Against the Bears in his second pre-season game, Lee had four receptions for 27 yards and a touchdown. Lee was a highly touted prospect that was expected to go in the first round of this year’s NFL draft. Lee has the talent to excel, and Jacksonville may be the perfect place to do so. There is no question Jimmy Graham is the best tight end in fantasy football, and the competition is not even close. I like Graham so much, I would draft him over Peyton Manning and Calvin Johnson. If those first five running backs are off the board, I would strongly recommend drafting Graham. He is THAT good. Davis appears to the lowest man on the totem pole when it comes to targets this season. 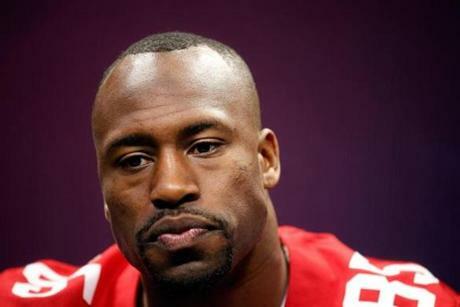 With Michael Crabtree healthy, Anquan Boldin back for another season, and the addition of Stevie Johnson, Davis looks like the fourth option on a team that really only needs to use three. Unless Jim Harbaugh decides to drop the team’s run first identity, then Davis is sure to regress from a great season a year ago. 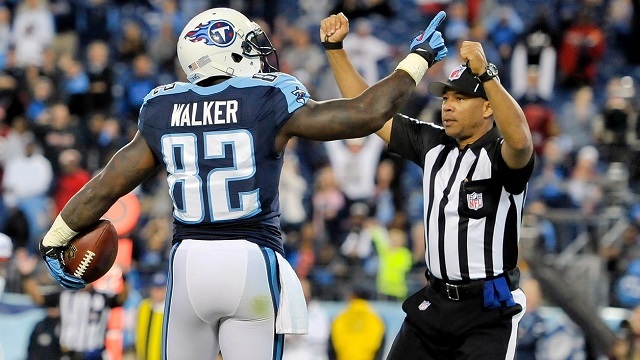 After a career year, Walker is looking to come back for seconds. Whisenhunt has a very tight end friendly offense and with Jake Locker in need of a dependable red zone target, Walker looks to be the “Antonio Gates” of the Titans’ new offense. 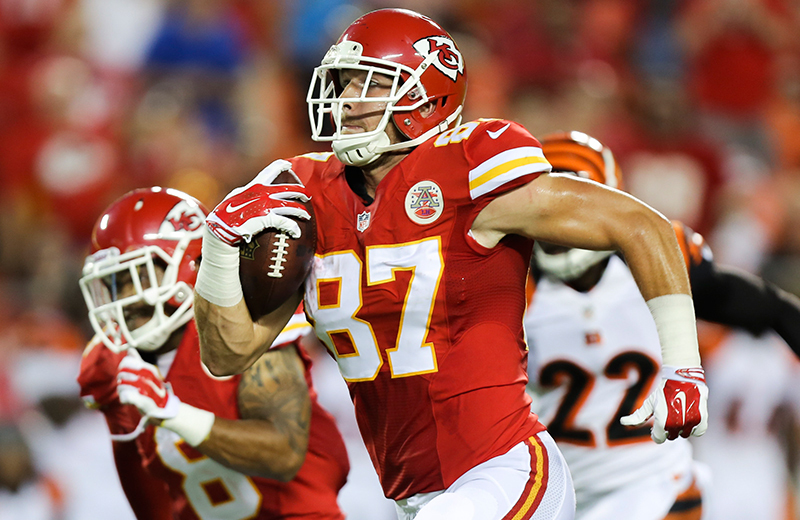 The Chiefs have been looking for a starting caliber tight end since Tony Gonzalez was traded away in 2008. Kelce possesses the best ball skills off the bunch, and the Chiefs passing game is in desperate need of a playmaker. Dwyane Bowe is coming off of his worst season since 2009, and Donnie Avery is not a very appealing option for fantasy owners. Kelce is the ultimate boom or best option this year, but considering the rest of the tight prospects available, he is well worth the risk. Sundays during the fall are my favorite days of the year. Sure, Friday and Saturday I can have a night out on the town, do dinner and a movie, or even check out that new gastro pub that opened up across the street. But on Sunday I can go out to brunch with my girlfriend, get home just in time for opening kickoff, and plop on the couch with her for 8 straight hours of gladiatorial bliss. It is truly a day of rest for both of us, and it helps that we both love the game of football. This article is for those of you like me: a highly opinionated fan with an even more opinionated girlfriend. I thought it would be funny if she came out with a list of power rankings (CK) and a list of reasons why she likes the team. Any expert, who has been following the game for decades, can effectively dissect a team. I thought it would be interesting to see how an average fan ranked each team for the upcoming season. I added my analysis to offer you (BK), the reader, a baseline and an in-depth explanation of each power ranking. CK: With my apologies, I am not well versed in every single team in the NFL. Being a Midwesterner, the NFC North is my strong suit, and I have a few favorites scattered throughout the NFC. The AFC might have existed in another universe if it weren’t for Peyton’s existence in it. This is a forewarning of my mild ignorance. This year, I will be embarking on my first Fantasy Football experience. I am hoping this will increase my player knowledge and awareness. BK: The rich get richer. After losing Eric Decker to the Jets this offseason, the Broncos signed Emmanuel Sanders and drafted Cody Latimer to help sure up the already strong receiving core. They also brought in DeMarcus Ware, TJ Ward, Aqib Talib, and Bradley Roby to help bolster their defense. The Broncos are once again the team to beat in the AFC. CK: Peyton Manning, my second great football love – more on that later. He had a phenomenal season and a less that phenomenal Super Bowl appearance. Peyton is back with a vengeance. Can you say Legend and rap god? BK: They are the defending Super Bowl champions for a good reason. With the “Legion of Boom” still intact after the offseason and Russell Wilson sure to take another step forward, the team seems more unbeatable than ever. BK: Tom Brady may have had a down year last season, but he still is Tom Brady. His receiving core may not be as strong as Peyton Manning’s, but this is a guy who turned Deon Branch into a Super Bowl MVP. He will be fine with a healthy Rob Gronkowski, Julian Edelman, Danny Amendola, Aaron Dobson, and Kenbrell Thompkins at his disposal. CK: I have a weakness for QBs, but Tom Brady isn’t one of them. 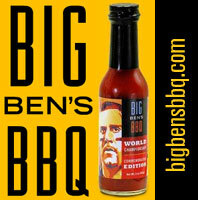 He thinks he is God’s gift to football – newsflash Tom: there are bigger, badder fish in the sea. When Peyton (swoon) is a better dancer than you, you may be doing something wrong. But I would watch the Patriots solely to watch Bill Belichick. BK: Aaron Rodgers’ injury stifled the Packers last season, and they somehow still managed to make the playoffs. The emergence of Eddie Lacy really helped the Packers maintain a balanced identity. With a full year of Rodgers and Randall Cobb, the Cheeseheads should be in the hunt for a Super Bowl berth. BK: The Falcons experienced a lot of bad luck last season. Stephen Jackson, Julio Jones, Same Baker, Stephen Nicholson, and Kroy Biermann were injured for most or all of the 2013 football season. The previous year, they were one game away from the Super Bowl. 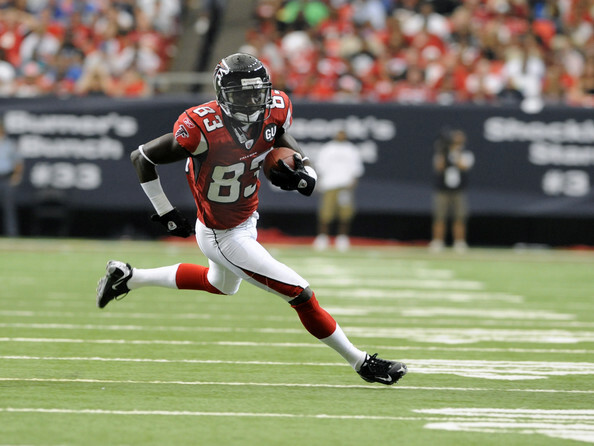 I think season we will see more of the 2012 Falcons. CK: Matt Ryan is kind of cute in that weird, awkward way. He may be my new Peyton Manning (swoon). Perhaps this season they’ll take the NFC South by storm, especially now that they have Devin Hester on their side. BK: Colin Kaepernick looks to have the best receiving corp ever in his tenure as a 49ers QB. The team added Stevie Johnson to the already potent group that includes Michael Crabtree, Anquan Boldin, and Vernon Davis. This run-first offense finally looks ready to join the pass-heavy NFL. CK: Colin Kaepernick’s story is so touching. The fact that he is a little bit psychic scores major points. BK: Drew Brees and the Saints offense have never had a problem moving the ball. The problem has always been the defense. After posting a 0 for turnover differential last season, the Saints brought in Jarius Byrd to help force more turnovers, and ultimately win games. CK: Drew Brees is a really good quarterback. They’ve always seemed like one of those teams that really give it their all and tend to pull through since the 2006 season after Hurricane Katrina. BK: Andrew Luck is ready to take the next step as a quarterback. With the addition of Hakeem Nicks and a healthy Reggie Wayne, the Colts have just enough weapons to make a Super Bowl run. There are a dark horse favorite to play in Phoenix come February. 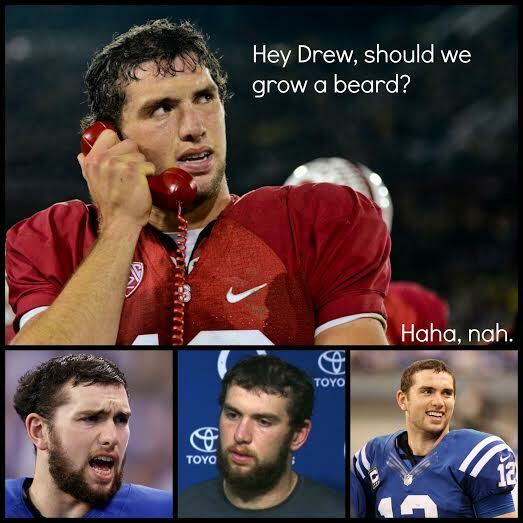 CK: Andrew Luck will never be Peyton Manning. Also, beards are not for everyone. I might be in a little denial that Luck has an amazing amount of potential, but this season should be a good indicator of seasons to come. BK: Last year was topsy-turvy for the Bears. The offense thrived under Marc Trestman, and the defense suffered on new defensive coordinator Mel Tucker. This offseason the Bear’s rebuilt their defensive by adding veterans LaMarr Houston, Jared Allen, Willie Young, and Ryan Mundy, and rookies Ego Ferguson, Will Sutton, Kyle Fuller, and Brock Vereen. Hopefully the additions are enough to propel the Bears into the playoffs for the first time in three years. CK: I don’t know why the Bear’s resigned Jay Cutler. They should have kept Josh McCown. 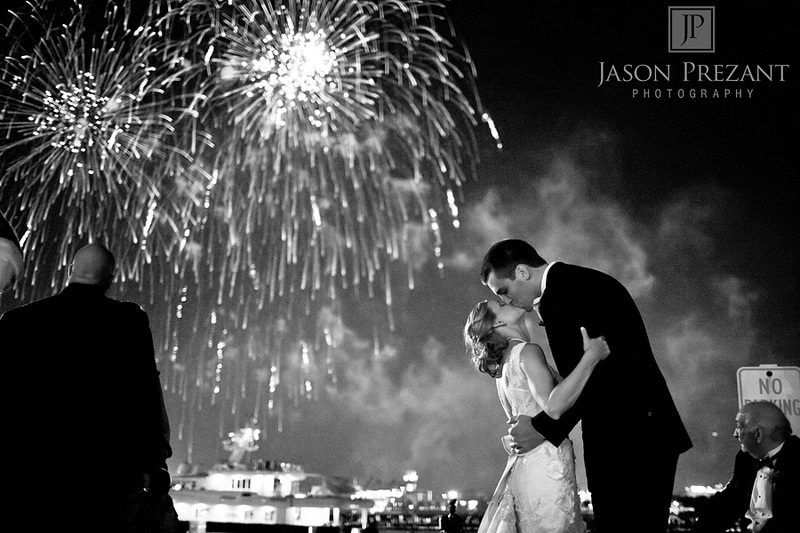 Jay is clearly too busy wrangling the ever-crazy Kristin Cavallari. I do love Robbie Gould, though. My boyfriend always talks about how kickers have the luxury of being a little on the chunky side, Gould doesn’t fit that mold. BK: Chip Kelly’s offense took the league by storm last year and made Nick Foles and LeSean McCoy superstars. With DeSean Jackson on the Redskins this season, the Eagles will need to find a home run threat in order to build onto year two. BK: Philip Rivers came back with a vengeance last year. After a subpar 2012 campaign, Rivers threw for almost 4,500 yards and 32 touchdowns last season. The offseason addition of Donald Brown and the continual growth of second-year wide receiver Keenan Allen will go a long ways into turning San Diego into a Super Bowl contender. BK: The Chiefs did not do anything to address their under achieving wide receiver corp, but with a team built around Jamaal Charles and an elite defense, the Chiefs should be able to compete for a wild card spot. 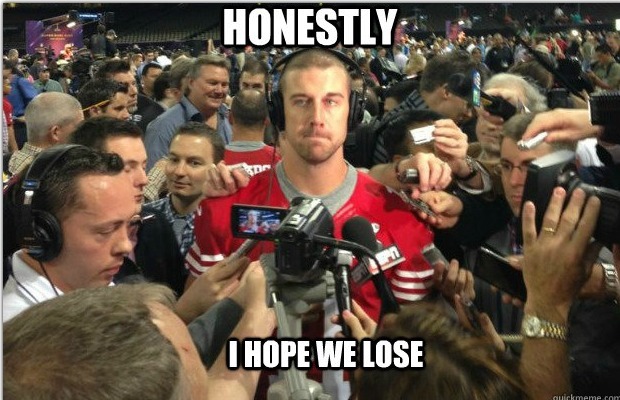 CK: Alex Smith may not be the cutest quarterback in the league, but I guess he’ll do. They also just drafted Aaron Murray, brother of Josh Murray, winner of The Bachelorette, season 10. He’s pretty cute, and definitely a rookie to watch. 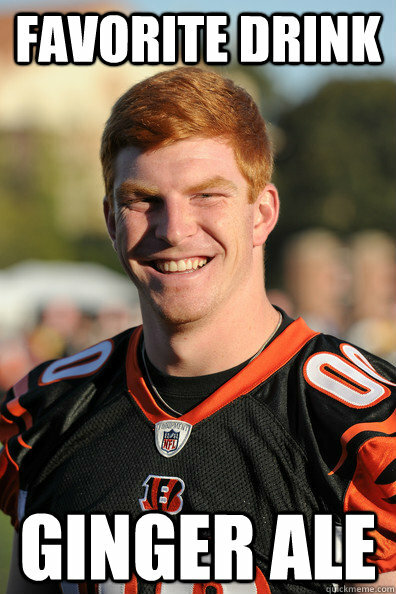 BK: Andy Dalton is now the 115 million dollar man, and that means he needs to perform in order to justify that contract. The addition of Jeremy Hill will help ease his offense burden and keep Giovani Bernard fresh. This year, the AFC North is the Bengals to lose. 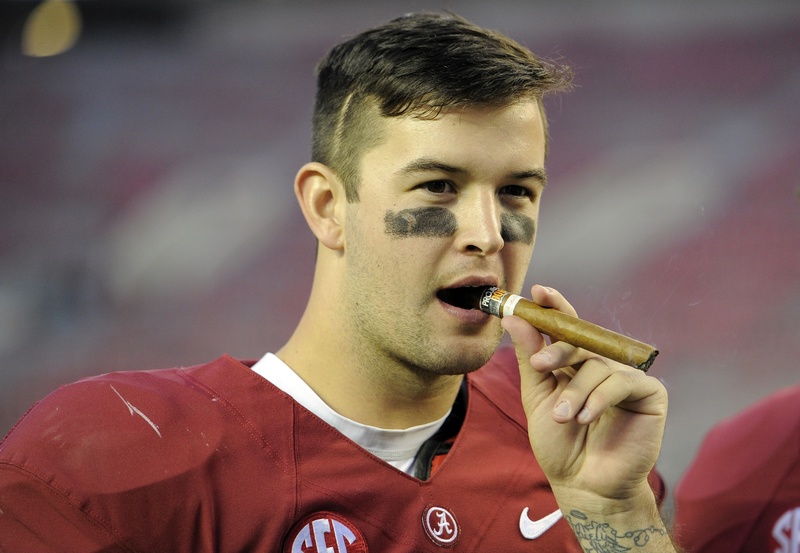 CK: As much as I want to dislike AJ McCarron, he may have an amazing rookie career. Dalton may be the superior player, but McCarron is quite the dapper dresser. BK: If Sam Bradford is healthy, then this team should be fighting for a playoff spot. Their defense should be one of the most dominant this season. With a rebuilt offensive line, the team should be able to effectively run the ball and keep Sam Bradford upright on passing downs. 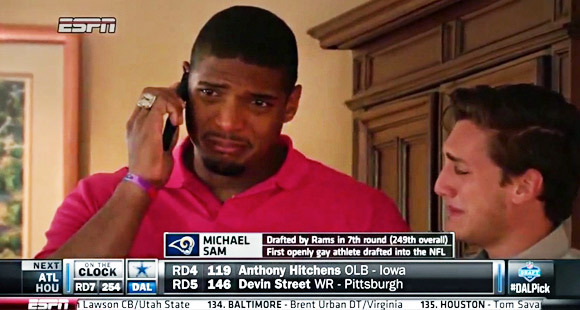 CK: Michael Sam is the most inspirational story in the NFL. 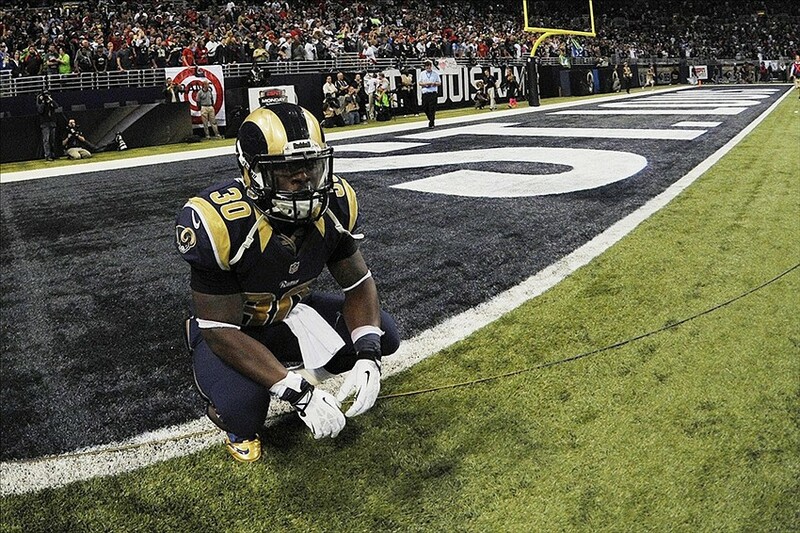 The Rams totally have amazing karmic vibes headed their way. 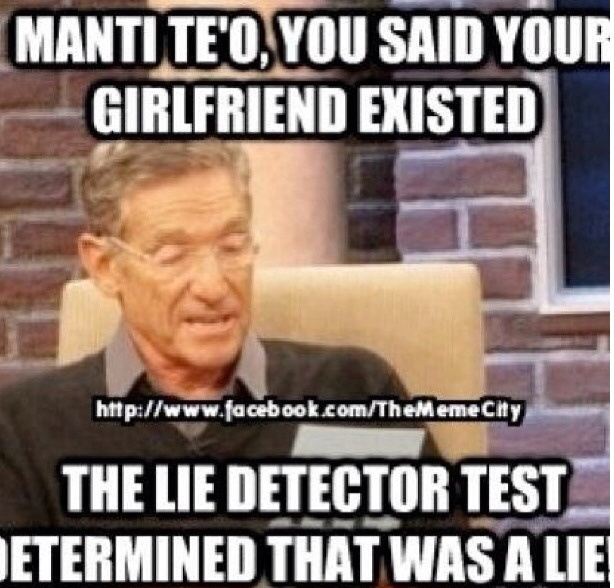 BK: Tony Romo is an elite quarterback. However, the Cowboys have such a terrible defense that there is no way they could make the playoffs. They gave up the third most yards in NFL history last season. Until the defense improves, the Cowboys will be left out of the playoffs yet again. BK: The Pittsburgh Steelers look like a middle of the pack football team. On one hand, they have Ben Roethlisberger, Le’Veon Bell, and Antonio Brown leading the offense. On the other hand, they have an aging defense and had a negative four turnover differential. Expect more of the same from the team this year. BK: With Robert Griffin III finally healthy this season, the Redskins should return to the team they were in 2012. DeSean Jackson and new head coach Jay Gruden should only help RGIII’s maturation as an NFL superstar. CK: RGIII better keep it together this season. Kirk Cousins and Colt McCoy couldn’t combine their skills to compare to RGIII. People with numbers after their name are automatically classy. 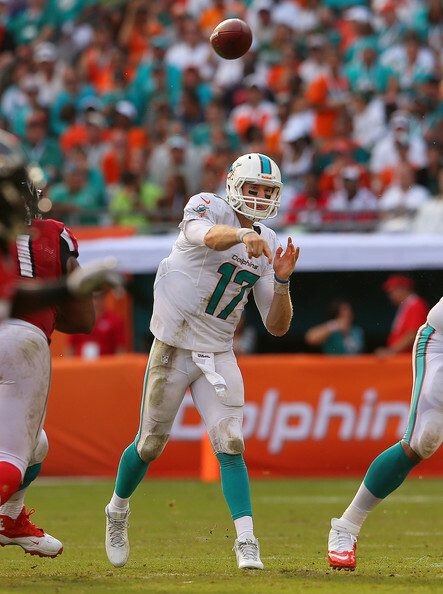 BK: Ryan Tannehill took a step in the right direction last season, finishing tenth in the NFL in passing yards. The addition of Knowshon Moreno and the subtraction of the Richie Incognito/Jonathon Martin drama will surely be a boon for the team. They should surprise some people this year. 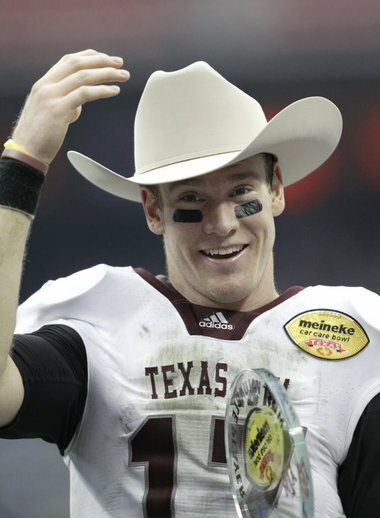 CK: Ryan Tannehill is pretty cute in uniform and/or any time he isn’t smiling. “Smile. Don’t smile.” Bring It On, anyone? BK: The return of Dennis Pitta will really help with a receiving corp that lacked a true threat between the hash marks. However, Joe Flacco is in a very similar situation to Eli Manning; if the running attack falters again this year, the Ravens will struggle to move the football and score points. CK: I’m not sure how I feel about Joe Flacco as a quarterback. He did win the Superbowl two years ago, but he hasn’t done much since. 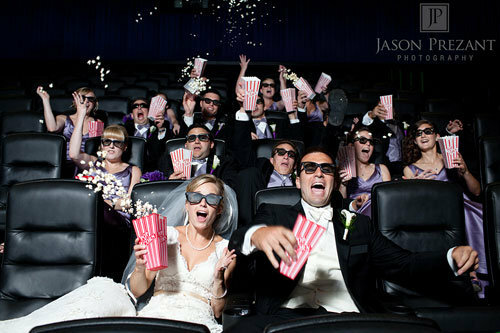 Well, if his wedding photos are any indication, Flacco is ready to make that next big step. 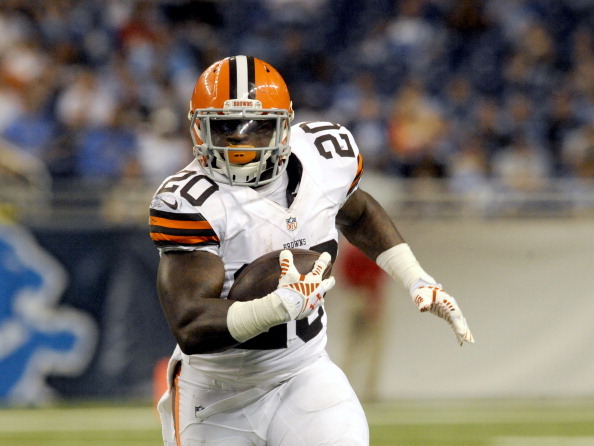 BK: If Josh Gordon’s yearlong suspension is reduced, then the Browns could be higher on this list. Even so, I believe that the team has a much improved running game lead by free agent acquisition Ben Tate and rookie Terrance West and a stellar defense highlighted by Joe Haden. They should cause some problems in the AFC North this season. 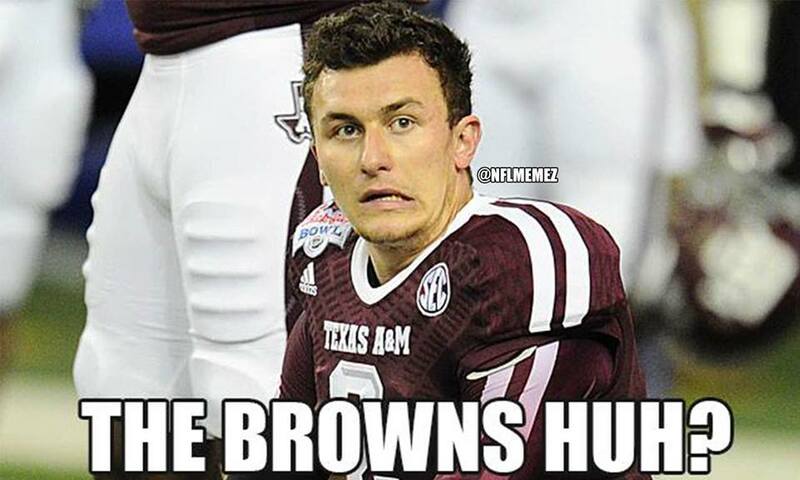 CK: Oh, Johnny Manziel. Cleveland loves those college football heartthrobs. He should be able to get a few wins single-handedly. But they are still Cleveland, and if history tells us anything it’s that Cleveland constantly fails to live up to the hype. BK: Golden Tate and Eric Ebron are great pickups on the offensive side of the ball. However, the Lions failed to upgrade their defense and, more specifically, their secondary. In a passing league, you cannot survive without a dominant defensive backfield. CK: Reggie Bush is a fantastic player despite his awful taste in women – see Kim Kardashian and KimK look alike Lilit Avagyan. 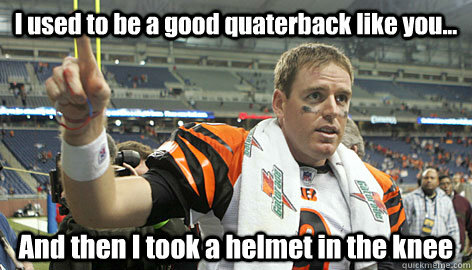 He should take some life lessons from Megatron Johnson. BK: With Darryl Washington injured and Karlos Dansby on the Browns, the Cardinals will be depending on Larry Foote and Kevin Minter to control the running game and lead the defense. They will not be up to the challenge. CK: Carson Palmer is on the team. He is clearly looking to make a name for himself by reviving a less than successful franchise. But at 34, he may have a walker before he’ll have a super bowl ring. BK: Ryan Fitzpatrick is a huge question mark heading into this season. Is he a starting caliber quarterback, or his he just a very good backup capable of winning in short spells? Time will tell, but if he is the former, the Texans will look more like they did in 2012 when they finished the season 12-4. 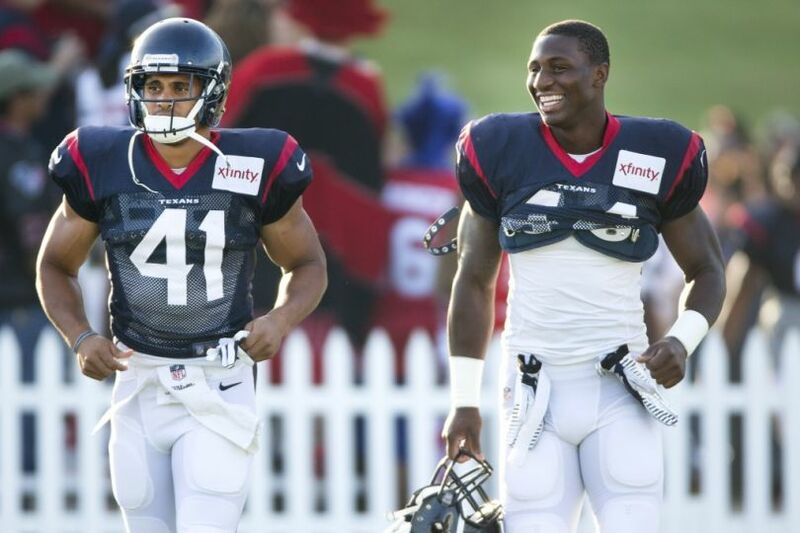 CK: They drafted Jadeveon Clowney who hits really hard and is crazy on defense. Too bad about his last name…and that the Texans can’t play him on offense. BK: The running game is key for the Giants’ success. If Rashad Jennings and Andre Williams have successful seasons, Eli Manning will return to form. But, if the team struggles to run the ball like it did last year, then expect more of the same from last year. CK: When will Eli Manning win another Super Bowl? He is no Peyton, but get this man some blocking! If he ever needs company while drowning his sorrows in Oreos, call me maybe? BK: Cam Newton is on the cusp of stardom, but who is he going to throw the ball to? Kelvin Benjamin is a rookie, Jason Avant has been inconsistent, and Jerrico Cotchery is not a go-to wide receiver. Newton seems better off throwing the ball to himself. CK: Oh, Cam Newton, if only you could spread your charming looks around. Starting offensive line just isn’t cutting it for me. BK: Matt Schaub, Maurice Jones-Drew, and James Jones may make the offense more respectable, but the losses on the offensive and defensive line may be too much to overcome. CK: For as long as I can remember, the Raiders have been terrible. 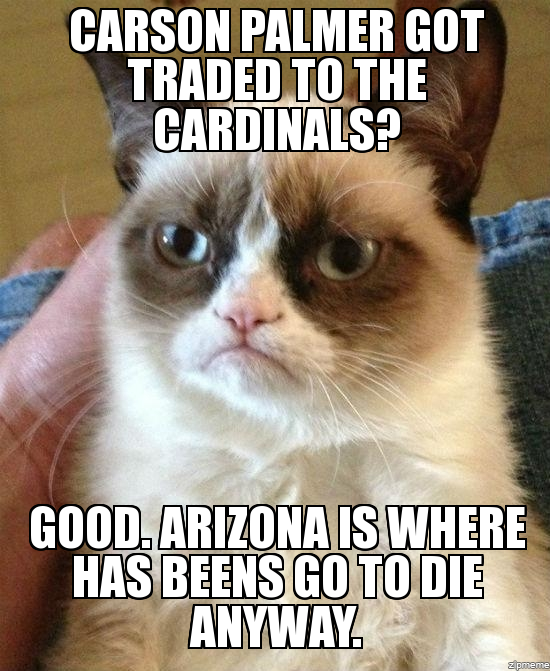 Even Carson Palmer gave up on them. 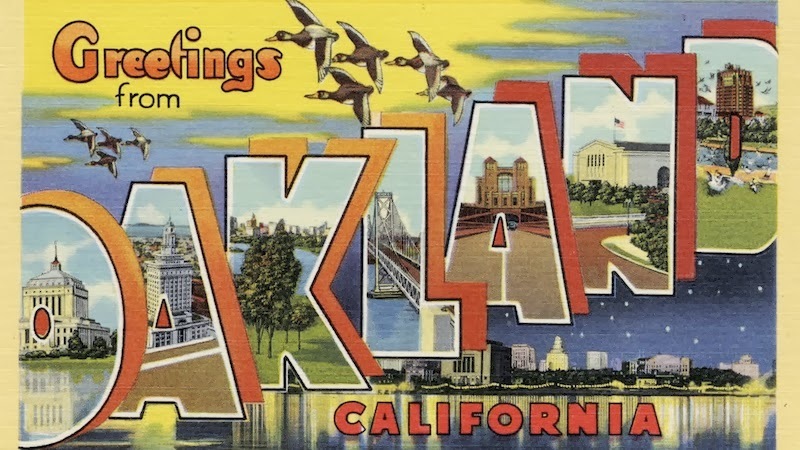 I would absolutely hate to live in Oakland. It is like the Detroit of the West Coast. BK: Josh McCown can’t possibly repeat his stellar numbers from last season, and the jury is still out on Mike Glennon. 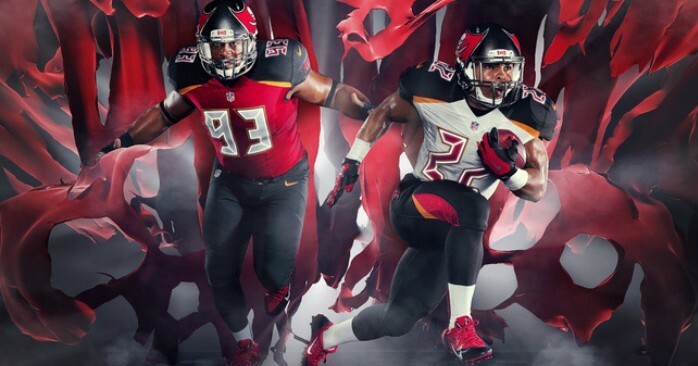 The Bucs have a healthy Doug Martin, but under Lovie Smith I believe this team takes a step back before it takes a step forward. 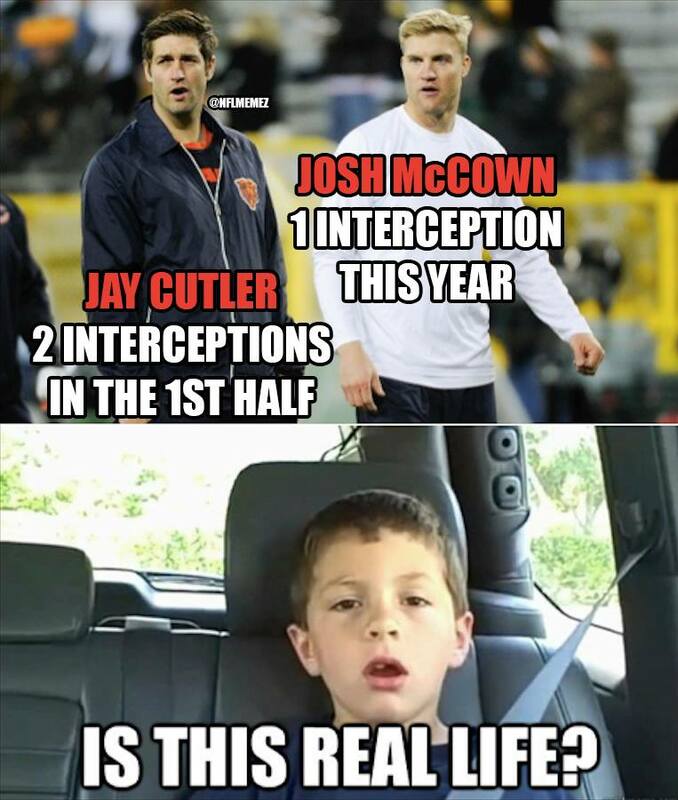 CK: Too bad the Bears traded Josh McCown. Tampa Bay ain’t quite it used to be. Maybe some throwback uniforms will throw them back to 2002. 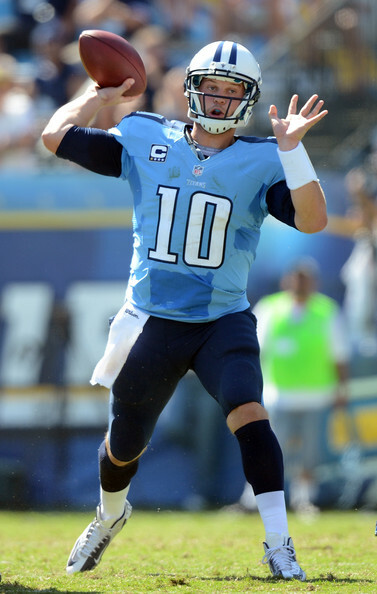 BK: No Chris Johnson, no Kenny Britt, no proven backup for Jake Locker; the Titans look ready for another mediocre season. CK: Remember the Titans? Not this season. 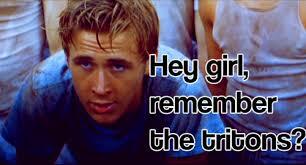 Perhaps they should draft Ryan Gosling. BK: E.J. Manuel is essentially a rookie this year. C.J. Spiller regressed last, Sammy Watkins is unproven, and who is their defense going to stop? Fred Jackson has being the only constant on this offense, but at 33 years old, how long can he counted on to produce? CK: Buffalo Bill Cody – Wild West takes New York? Not sure how that would go over at Fashion Week. BK: Teddy Bridgewater needs to start. Christian Ponder and Matt Cassel are absolutely terrible. Adrian Peterson is expected to carry the offense once again. BK: Michael Vick might be washed out, and Geno Smith needs to cut down on the turnovers (25 last season) in order to develop into a starting-caliber quarterback. It looks like another subpar season for Gang Green this year. CK: The Jets are the naturally inferior New York squad. Favre had a less than spectacular season there and Michael Vick is on the team. Talk about a karmic slap in the face! Remind me again why they let him out of prison…? 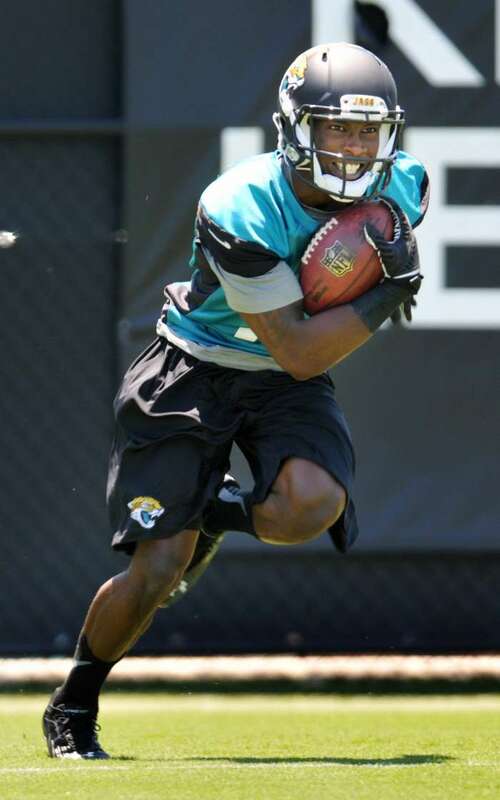 BK: With two rookie wide receivers and no Maurice Jones-Drew, Chad Henne has his work cut out for him. I do like the Toby Gerhart pick up though. He runs hard and should be fresher then MJD was the past few years. CK: Perhaps shoot to win 6 games this season? That’s really the only advice I have. Cute logo btw.